US Assistant Secretary of State Marshall Blingsley announced on Tuesday his country's readiness to help Iraq and the Kurdistan region boost their economic standing. US Assistant Secretary of State Marshall Blingsley expressed his country's readiness to "help Iraq and the Kurdistan region strengthen their economic standing." The US Assistant Secretary of Treasury Marshall Blingsley expressed his country's readiness to help Iraq and the Kurdistan Region in strengthening their economic status. This came during a meeting between the US official with the President of the Kurdistan Regional Government of Iraq, Nechirvan Barzani. A statement by the Kurdistan Regional Government that Blingsley expressed his happiness with the developments in the region in the sector of economic infrastructure and reform and development of the private sector. For his part, Barzani thanked the United States for the previous and current aid provided to the Kurdistan Region, stressing that the market of the region will be of particular importance in the development of the Iraqi economy. He pointed out that the policy of the provincial government is based on supporting the private sector and bringing in the owners of foreign capital and it needs assistance in this area. According to the statement, the two officials also discussed the situation in the region and coordination efforts between the governments of the region and Iraq with allies, especially the United States, aimed at eliminating violence and drying up the financial and economic resources of extremist groups. The Kurdistan Region has witnessed a financial crisis since 2014, which resulted in the cessation of thousands of investment projects and the demobilization of many workers in private and public institutions because of the crisis that erupted since Baghdad cut the share of Kurdistan from the federal budget in conjunction with the collapse of oil prices and spending on the war against the organization. 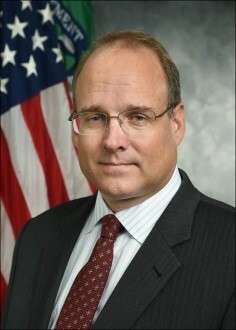 Marshall Billingslea was confirmed by the United States Senate to serve as Assistant Secretary of the Treasury in June 2017. He leads the Office of Terrorist Financing and Financial Crimes. In this role, he works with members of the national security community throughout the U.S. government, foreign governments, and the private sector to identify and address threats posed or advanced by illicit finance. His areas of focus include money laundering, terrorist financing, WMD proliferation, and other criminal and illicit activities domestically and across borders. Prior to assuming this role, from 2009-2017, Mr. Billingslea was a Managing Director with Deloitte Financial Advisory Services, running its Federal Business Intelligence Services group. He conducted due diligence on behalf of a wide range of Federal clients and Fortune 500 companies. He specialized in investigating beneficial ownership structures, and advising businesses on the legal and regulatory risks associated with third party transactions, particularly in overseas markets. He also served as external advisor to a number of aerospace, defense, and security companies. In addition to the Treasury, Mr. Billingslea’s government career spans multiple positions within the Departments of Defense and State, and the United States Senate. As the Deputy Under Secretary of the Navy, he was responsible for Navy and Marine Corps defense policy and planning. During that time, Marshall also was the chief advisor to the Navy Secretary on foreign policy, and provided oversight of Navy and Marine Corps intelligence and sensitive programs. Prior to that, Marshall served in Brussels as the Assistant Secretary General of NATO for Defense Investment (ASG DI). As the United States’ senior civilian official serving within the alliance, he oversaw NATO’s military investment programs and infrastructure budget, and worked closely with Defense and Finance Ministers across the Alliance. He was Chairman of the Conference of National Armament Directors (CNAD), and Chairman of NATO’s C3 Board. The majority of the NATO Agencies reported through Marshall’s Defense Investment Division. Marshall’s accomplishments at NATO include the creation of NATO’s Strategic Airlift Capability (comprising C-17 military cargo aircraft), the founding of NATO’s Special Operations Coordination Center, the launching of the alliance’s active, layered theater ballistic missile defense (ALTBMD) program, and the creation of a dedicated series of NATO field trials and investment programs associated with counter-terrorism. Marshall was appointed to NATO after serving as the senior civilian for special operations (Principal Deputy Assistant Secretary of Defense for Special Operations and Low Intensity Conflict), overseeing all DoD special operations efforts against al’Qaida following the 9/11 attacks. During his tenure, he expanded the budget of U.S. Special Operations Command by 47 percent, increased the number of Army Special Forces and SEAL operators, and was a principal architect of DoD’s worldwide effort against terrorist organizations. Under his leadership, USSOCOM and its components greatly accelerated acquisition of a wide range of novel technologies and capabilities to aid special operations forces in the conduct of the Global War on Terror. Other previous positions include Senior Professional Staff Member for National Security Affairs on the Senate Foreign Relations Committee where he provided oversight of all intelligence and defense-related activities falling within the Committee’s purview, and was responsible for review of all foreign arms sales requiring Committee approval. Marshall holds a Bachelor of Arts from Dartmouth College and a Master of Arts in Law and Diplomacy from the Fletcher School of Tufts University. He has been decorated with the Cross of Terra Mariana by the President of Estonia; the Knight’s Cross by the President of Poland; and the Cross of the Order of Merit of the Czech Republic. He has been awarded the Defense Medal for Distinguished Public Service by the US Secretary of Defense. He also has been decorated by the US Secretary of the Navy with the Distinguished Public Service medal. ERBIL, Kurdistan Region — The head of the Kurdistan Regional Government (KRG) explained how critical Erbil can be in the fight against extremism in the financial sector in a meeting with a top US Department of Treasury official. 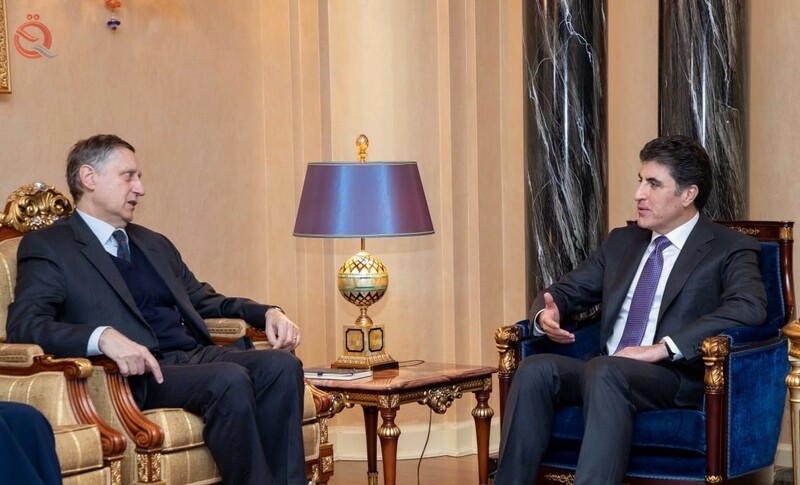 KRG Premier Nechirvan Barzani hosted US Assistant Secretary for Terrorist Financing Marshall Billingslea in Erbil on Monday. “They discussed regional situations, attempts to have coordination between the KRG, Iraqi government and coalition countries especially the US in order to eradicate violence and eliminate financial resources of extremist groups," read a statement from Barzani's office. The meeting also focused on the Kurdistan Region's desire to grow and diversify away from its petroleum dependency. "His Excellency Nechirvan Barzani thanked the past and current aid of the US to the Kurdistan Region and stressed that Kurdistan Region’s market will have a special significance for the development of Iraq’s economy," read the KRG statement. US trade delegations make regular trips to the Kurdistan Region. "[Barzani] also said that it is KRG’s policy to support the private sector and draw foreign investors and they need the help of their friends in this regard,” the statement added. Reducing corruption and barriers to entry for American companies has been a goal of Washington. Billingslea “expressed his country’s readiness to assist Iraq and the Kurdistan Region in the area of strengthening their economic infrastructure and reforming governmental institutions,” added the KRG statement. Trump is set to deliver a State of the Union Address on Tuesday that could affect aid coming to Iraq, as Trump increasingly pursues policies that rely less on intelligence and diplomatic assets and the US military on the ground. The Kurdistan Region historically has welcomed a Western and American presence, believing it to be a bulwark against any possible action by Baghdad, Ankara, or Tehran.